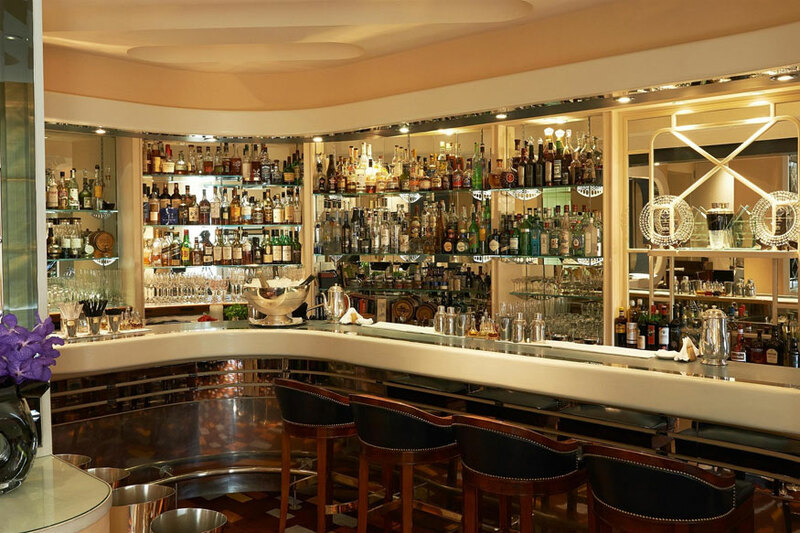 The American Bar at the tony Savoy Hotel in London proved its timelessness by snagging the title of world's best bar, as voted for by a panel of 140 industry experts at one of the most influential events of the bartending world. The American Bar at the tony Savoy Hotel in London has been named the World's Best Bar 2018 at the industry event Tales of the Cocktail in New Orleans over the weekend. [post_ads]The world's longest-surviving cocktail bar in London proved its timelessness by snagging the title of world's best bar, as voted for by a panel of 140 industry experts at one of the most influential events of the bartending world. This past spring, The American Bar launched a new menu that takes inspiration from a series of iconic black-and-white portraits that have lined the bar walls since the 1980s: photos taken by British photographer Terry O'Neill of everyone from Ava Gardner and Elizabeth Taylor to David Bowie and Judy Garland. Called "Every Moment Tells a Story," the cocktail menu reinterprets each portrait in drink form, using everything from fermented artichoke, clarified tomato water, jasmine oil and edamame. A photo that freeze-frames Elizabeth Taylor offering David Bowie a drag of her cigarette, while being held in his arms, for instance, is translated as gin, yuzu wine, white pepper, St-Germain elderflower liqueur, champagne cordial and jasmine oil. A little side note behind the photo: It was the first time the two icons had met, and Taylor kept Bowie waiting for four hours. Other big winners of the 12th annual Tales of the Cocktail event included Lost Lake in Chicago, which took home the title of Best American Cocktail Bar; Joe Schofield of the Tippling Club in Singapore, who was named the International Bartender of the Year; and Sager & Wilde in London, named Best International Restaurant Bar.